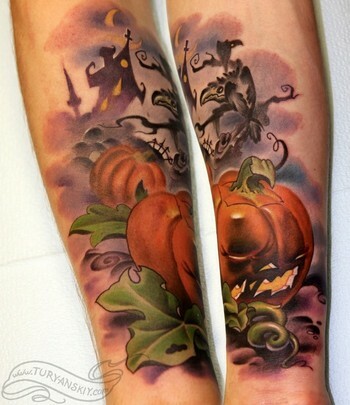 Comments: Custom color halloween pumpkin tattoo. About 10 hours. (1 session) 2009.